Aimed at addressing a wealth of different skin conditions and concerns, Aspect Dr. formulates skin care products that provide a simple equation to serious skin solutions. Designed to simplify your daily skin care regime, the Aspect Dr. range combines gold-standard ingredients with proven qualities that effectively address the cause of concern and not just the outward symptoms. With a focus on simplicity, Aspect Dr. Skin Care offers a concise line of scientifically-tested products to enhance your skin’s tone, texture, and radiance. 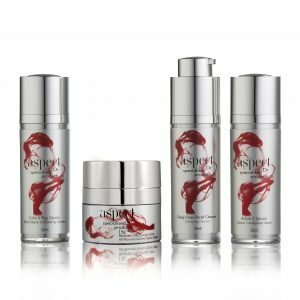 Enjoy maximum antioxidant properties with the Aspect Dr. Active C Serum. This oil-soluble vitamin C serum is formulated with high-performing skin firming peptides that diminish the appearance of fine lines, as well as SYN-COLL, a proprietary collagen stimulating peptide complex that will give your skin a visibly plumper look. A great alternative to water-soluble formulations, the Aspect Dr. Active C Serum has a gentle action that makes it suitable for dry and sensitive skin types as well. Rid your skin of dirt and impurities with this Deep Clean Facial Cleanser by Aspect Dr., which combines the exfoliating abilities of alpha-hydroxy acids with organic hydrafoam and botanical extracts to purify skin and restore a new look of active, radiant health. Thanks to the Sodium L Lactate, this cleanser clarifies without drying the skin, ensuring proper hydration levels at all times. It’s the perfect addition to your skin care regime—especially if you’re battling acne and blemishes. Simply foam up in hands with a small amount of water, apply to damp skin, massage, and rinse. This ultra-nourishing, skin-firming eye cream has been specifically formulated with shea butter and Sodium Hyaluronate to reignite the light in your eyes. A unique blend of peptides addresses fine lines, wrinkles, and other visible aging signs, strengthens the delicate skin around the eye area, and quickly diminishes puffiness. The anti-aging qualities of the formulation are further enhanced by vitamin A, well-known for its skin plumping effects. Apply a pea-sized amount around the orbital rim as part of your day and/or night skin care routine. Is your oily skin difficult to manage? The Problem Skin Serum by Aspect Dr. is your supercharged oil-balancing treatment, clinically proven to address oily skin concerns such as acne and blackheads. Every bit of this bottled miracle contains Beracare AAA™, a blend of organic Acai berry extract, Andiroba extract, and Copaiba Balsam, which purify the skin and help minimise pores. Wasabi extract, Canadian willowherb extract, and mixed tocopherols 95% soothe irritated skin and reduce redness, thus promoting a more even tone. From serums to moisturisers, eye creams, cleansers, and exfoliators, Aspect Dr. Australia offers a broad selection of skin care products that actually work with your skin type. Explore the range below, and discover a new, more confident you.